In 1870, the Atlantic City Boardwalk made its debut as the first boardwalk ever built in the United States. Over its 142 years, millions of tourists have come to this oceanfront destination to ride in wheeled wicker chairs, eat salt water taffy, and see the myriad attractions and amusements that made the boardwalk famous. 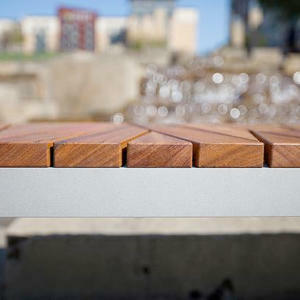 Now, Forms+Surfaces can offer customers a piece of this American history in the newly designed Boardwalk Bench. 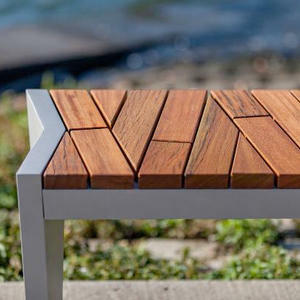 This modern bench, inspired by its origins, features FSC Recycled reclaimed Cumaru hardwood, repurposed from the actual slats of the Atlantic City Boardwalk. 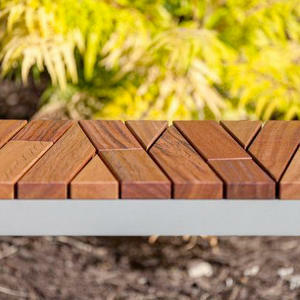 The bench’s design makes the most of the Atlantic City hardwood, using smaller wood slats in a unique, asymmetrical pattern. This has allowed us to salvage as much of the wood as possible, while also cutting out imperfections like knots and bolt holes. 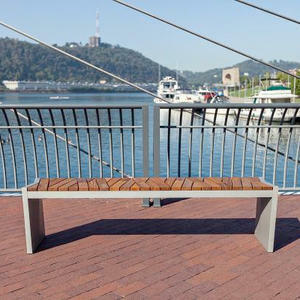 The bench tells its own story, by preserving the boardwalk aesthetic while still offering a fresh, innovative design. At Forms+Surfaces, our design philosophy is deeply tied to our commitment to environmental responsibility. We were thrilled to be able to procure this historic FSC Recycled reclaimed Cumaru, which offers superior resistance to moisture, insects, fire, vandalism and decay, without the need to cut down a single tree. 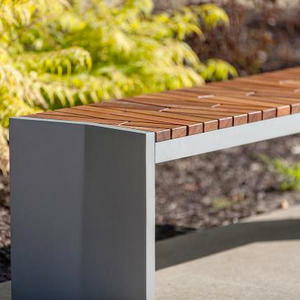 This bench truly has it all: an eye-catching design, high durability, a great environmental story and a tie to the past. 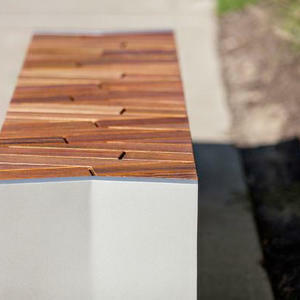 And while the slats are a highlight of this bench, every detail has been thoroughly considered. Note the cast aluminum ends which are contoured with a chevron shape at the top and taper down to a flat plane at the bottom. The ends also are slightly slanted inwards, adding to the angular feel of the piece. 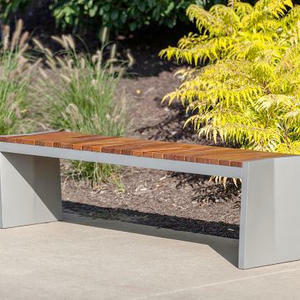 This elegant, backless 6-foot bench will work equally well in indoor and outdoor settings. 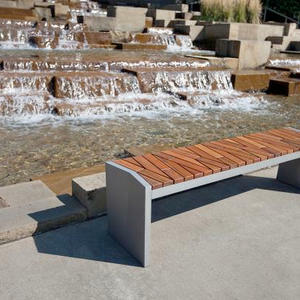 In addition to boardwalks, waterfronts and parks, the Boardwalk Bench would be ideal in corporate, healthcare and hospitality settings, as well as convention centers, stadiums and shopping centers or other retail outlets. The bench has optional armrests available, and can be freestanding or surface mount. For more details about this very special product, please visit the new product page on our website or contact us. Even better, come see the Boardwalk Bench in person! It will be on display at Forms+Surfaces Booth No. 1061 at the ASLA Annual Meeting & Expo this coming weekend in Phoenix.